Love to knit? So do we! Our staff always have a project going…sometimes two at a time! 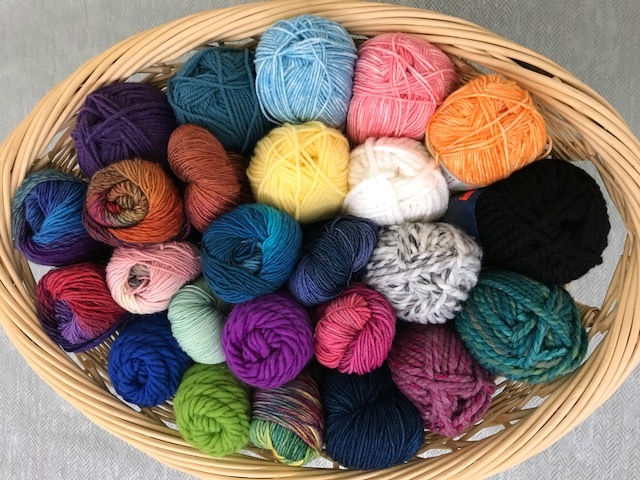 So to keep them happy, we stock beautiful yarns from Plymouth, Malabrigo and Brown Sheep. 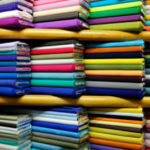 There are a variety of fibers to choose from including Wool, Baby Alpaca, Cashmere, Rayon/Linen, Silk and Acrylic. 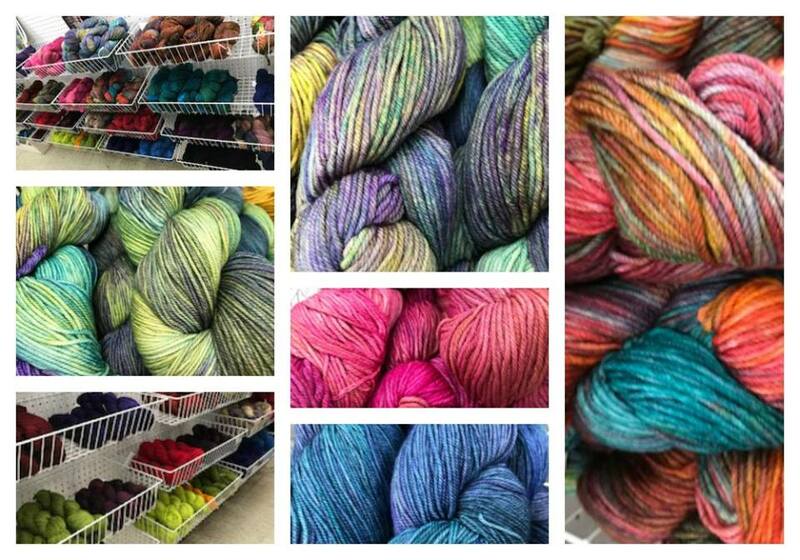 We carry Lace, Sock, DK, Worsted, Bulky weight yarns and Roving. 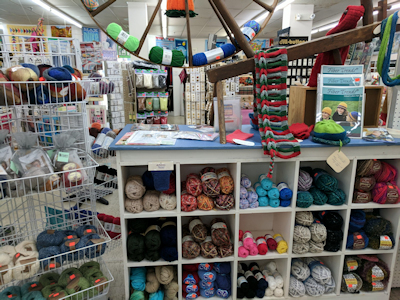 Whatever types of needles and accessories you may need for your project, New England Fabrics has them! Circular, Double Point and Single Point needles in bamboo or metal from companies such as KA, Knitters Pride and Susan Bates. Also Crochet Hooks and Felting supplies. 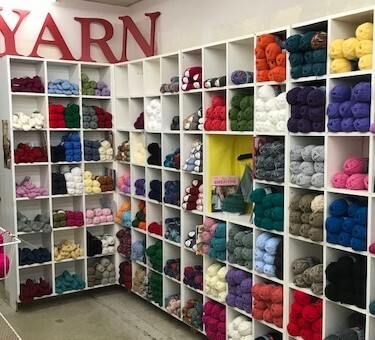 Come into our Yarn Department for ideas for making your very own socks, hats, mittens or a warm and snuggly afghan. We have books and patterns to inspire you. 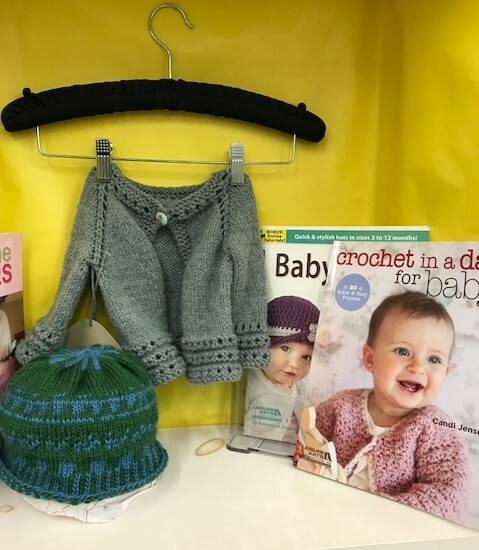 Maybe a baby hat and sweater for that little cutie you know! Everyone loves something hand made by a friend or a loved one.